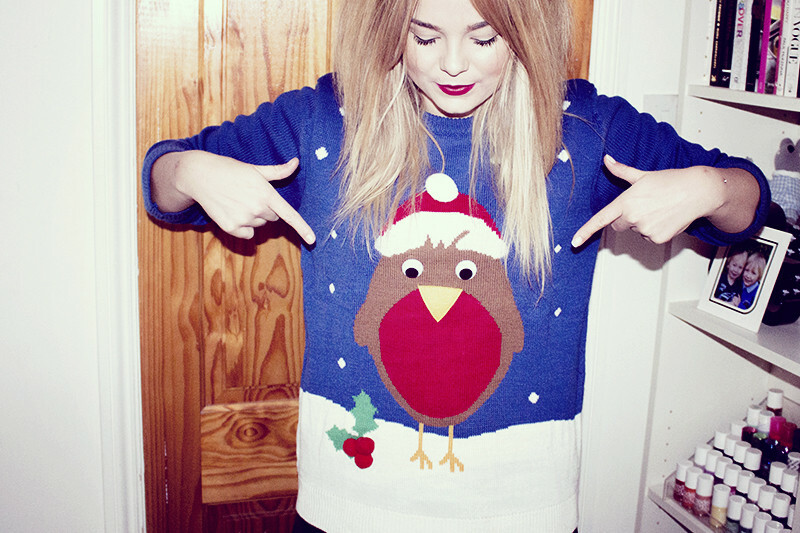 Taking a break from the usual outfit posts today to mention the Christmas Jumper Day campaign for Save The Children. On Friday 13th they've been asking people to wear a Christmas Jumper to work/school/wherever and donate just £1 to help save lives. While we're here buying a magazine to just chuck away or overpriced coffees there are people in the world that are in dire need of our help. It's hard to even imagine how much a difference a £1 donation can be to the life of people around the world. It could even mean the difference between life and death for many Children. Save the Children is a charity I personally support and skipped my Starbucks in favour of a donation. So if you can spare it and without something frivolous for a day then it could save people less fortunates life. *You’ll be billed £1 plus standard rate text message. Save the Children receive at least £0.99 depending on your network. This is a really great think, I will donate too! in love with your jumper! What a nice campaign! I'm so sad I missed it though! But it doesn't matter because we can still do good deeds even without campaigns asking us to do it. Aww adorable sweater. :) Love your hair here!! Lovely jumper! I agree about the money on coffee and magazines. Never a moment's hesitation but £1 for someone else that goes a long way and then it's uhmming and ahhing. I gave £3 and did 3 Christmas Jumper Days at work already all for the NSPCC! Its so nice that you done a post for this cause! That sweater is the cutest thing! Next week at college we're having a jumper day for charity, I can't wait to get my hands on a primark jumper for it! I organised for everyone at work to do this! Was good fun and a great cause. how cute is this sweater? that's really a WANT! I love it! I love your lipstick matching too!